AUGUSTA, GA. – If you had a secret weapon, would you use it? That is what Dr. Amos Meyers, Professor of Kinesiology, is trying to answer through his research on cycling equipment. One of the pieces of the bicycle that amateur cyclists and spectators may not consider is the impact of the chainring. That one piece on a bike is the focus of Meyers’ latest research, “Positioning of Elliptical Chainrings During Wingate Testing; A Repeated Measures Case Study.” Meyers presented his findings to a packed auditorium during the Science & Cycling 2016 conference, an international conference at the Université de Caen, Normandie, France. The chainring is also sometimes called a chainwheel or a sprocket. On a bicycle, it is the round, metal, toothed wheel that meshes with the chain and helps advance the chain as the rider pedals. 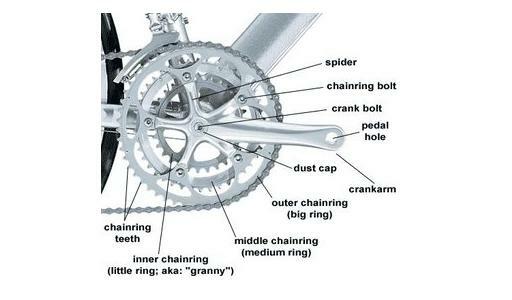 The chain pulls the wheel, and so the chainring is a small but important part of the system that allows a cyclist his or her speed and mobility. This diagram shows the chainring’s position on a bicycle. For racing cyclists, who rely on their own fitness to power their bicycles, every piece of equipment between them and their bicycle has the potential to make a huge difference in performance – everything from properly fitted shoes to padded bike shorts. So even something that seems as innocuous as a chain ring can make a difference. So what would happen if the chainring were elliptical, instead of round? “When you pedal, you’re pushing the pedal against the crank. The crank rotates around a central point – the bottom bracket – and the torque is transferred to the chain via the chainring. You get the most power when the crank is horizontal to the ground. The theory is that by using an elliptical shape, you’re changing how you transfer power to the wheel. The changing radius of the chainring takes advantage of your being able to push down really hard on the pedals, while making it easier to pedal through the top and bottom of every stroke – you have no muscles that do that really well.,” Meyers said. Power application throughout the pedal stroke is one reason that the clip-in pedal and shoe system was invented. With it, riders push down on the front of a stroke, and can pull up or “unweight” on the back of a stroke. But researchers, manufacturers and cyclists are always looking for areas of improvement. Enter the elliptical chain ring. In theory, elliptical chainrings account for the power variance in pedaling by allowing a rider to work harder in the front stroke and quickly spin through dead spots. Dr. Amos Meyers is a Professor of Kinesiology at Augusta University. Meyers’ research reproduced with humans a computer-modeling scenario that was completed by Lieven Malfait, Research Coordinator at VIVES University College in Kortrijk, Belgium. According to the Malfait model, there should be a favorable difference in crank power with an elliptical chainring, allowing them to go faster. Meyers recreated the computer model using real people and standard Wingate testing to measure peak anaerobic power and anaerobic capacity. The results showed that while elliptical chainrings did not slow performance, neither did they provide an appreciable positive gain. Meyers has a growing list of articles and conference presentations and has worked on three different research grants. 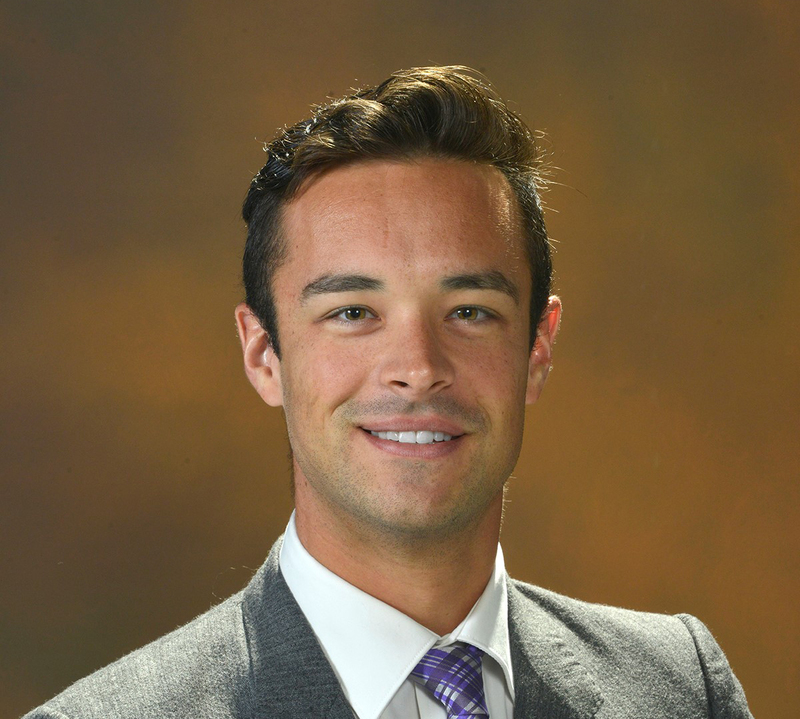 He is a member of the American College of Sports Medicine, National Strength and Conditioning Association, and USA Cycling. He also reviews articles for the Journal of Emerging Investigators, a journal dedicated to exposing middle and high schoolers to the academic publication process.